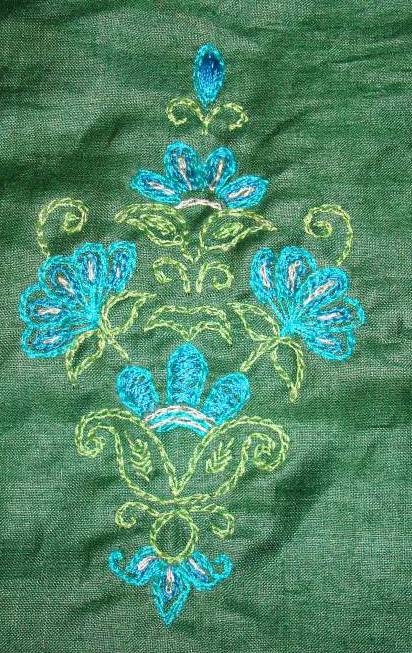 I completed this 6 inches by 6 inches square woven trellis stitch piece. The last few details. A satin ribbon was couched[?] 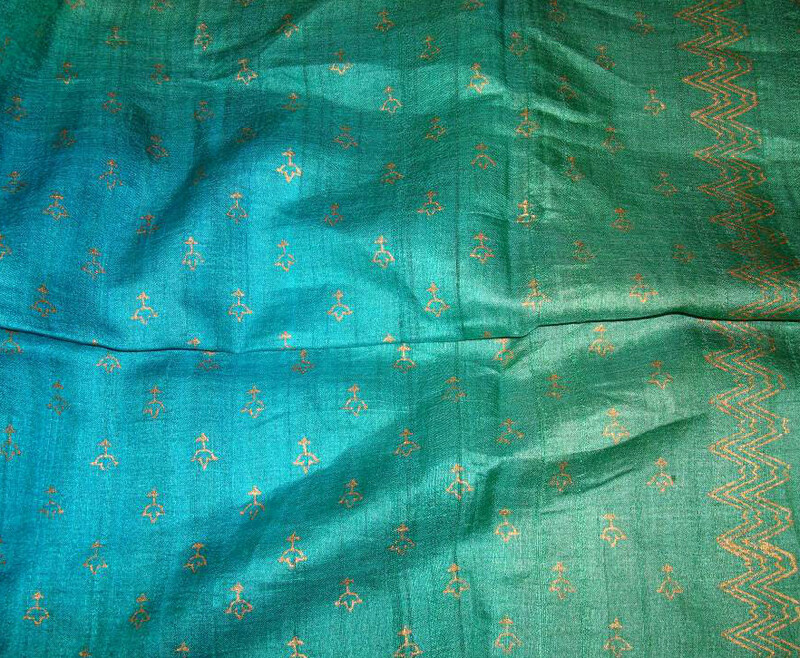 with woven squares. 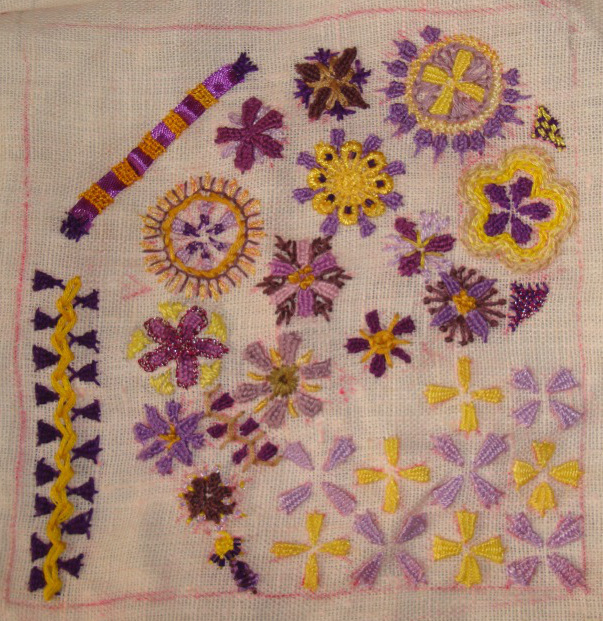 This was an experiment to see the ribbon and the woven squares has a filling treatment. The edges were fixed with woven trellis too. 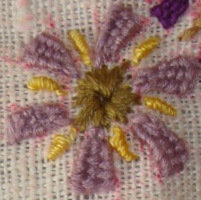 I used shaded yellow perle cotton for weaving. 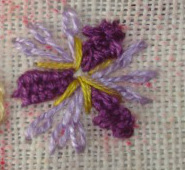 This flower has woven trellis and its inverse worked together with cross stitch centre. 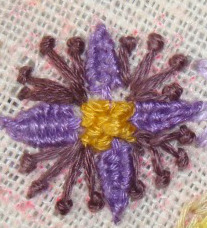 A lace flower with violet glass beads was fixed with eight woven trellis stitches. 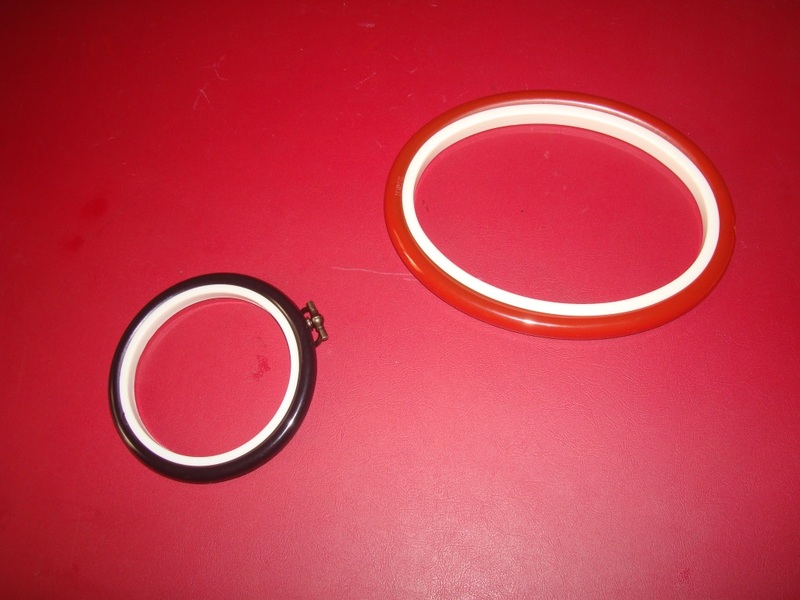 I thought it wouldn’t be possible to use loop for this, but it was possible and easier to work with loop. 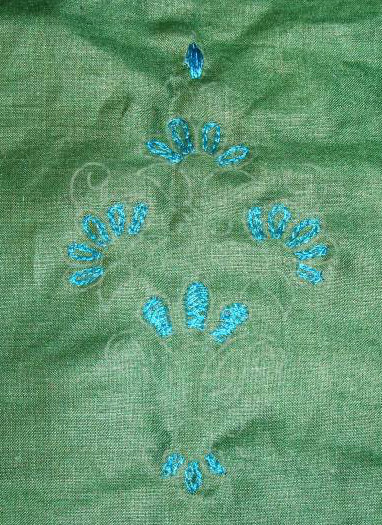 I also tried two woven stitches on this paisley design. 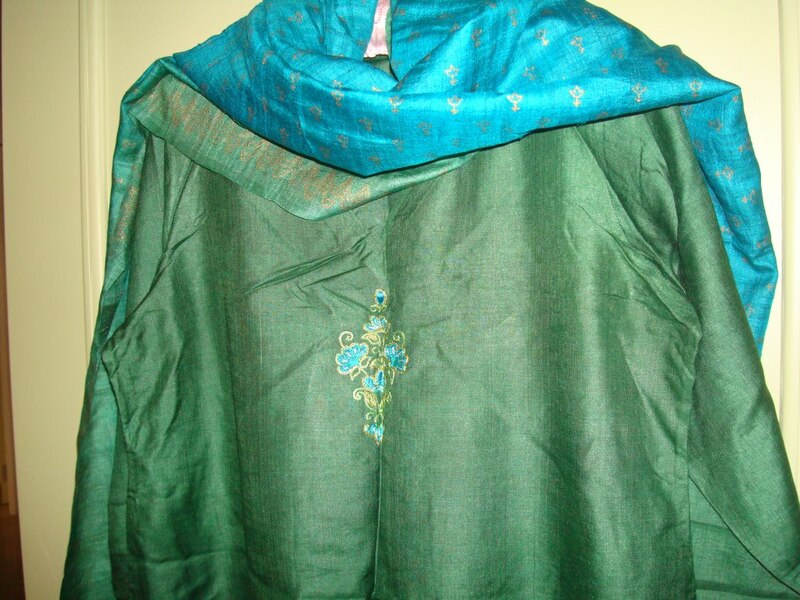 the top was woven with metallic thread. It was not easy to work with stranded floss. 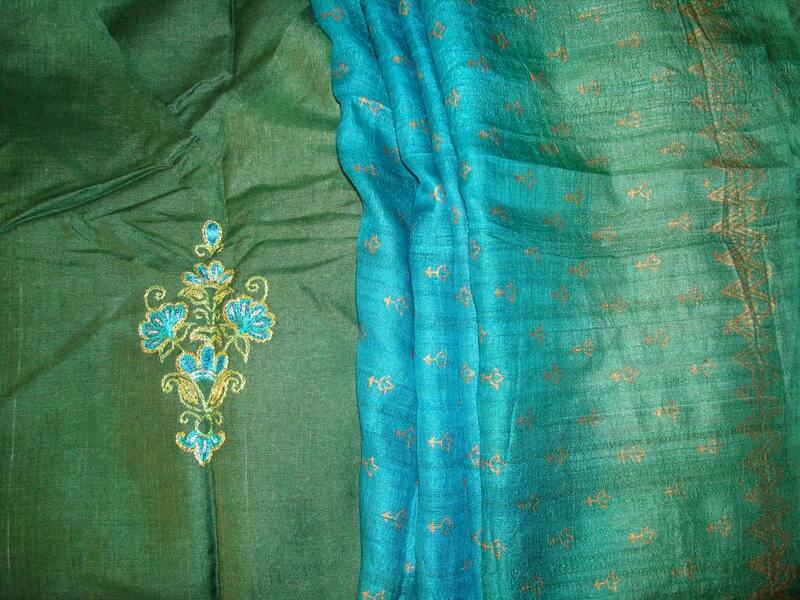 With my scant collection of perle threads, I can’t experiment with colours. 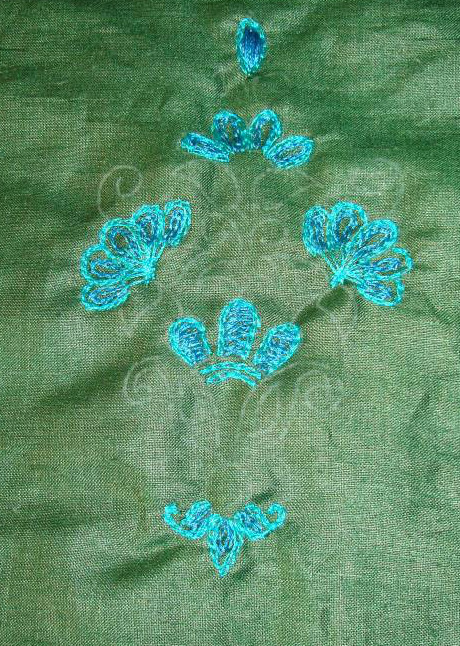 I had seen a part of an embroidery on pinterest, where a shape was filled with florals and leaves. This gave me an idea to work this piece. 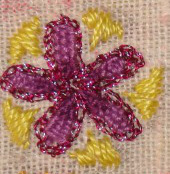 Since I wanted to try this stitch as a linear stitch, as filling and worked over satin ribbon, these were also incorporated in to this. 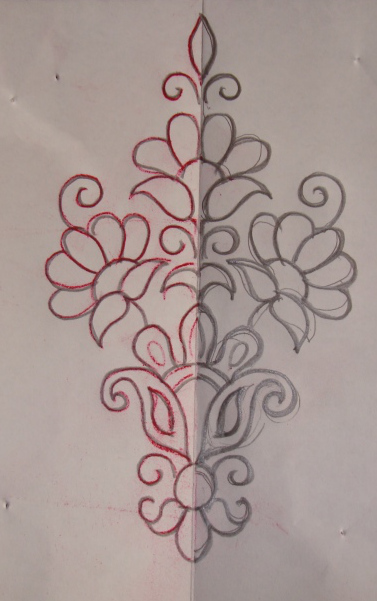 I was able to bring paisley design into this exercise, which might be used for some future project. Some flowers that were worked today. 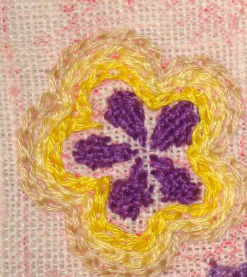 Woven trellis stitch is worked in yellow and medium violet in this flower, with buttonhole and herringbone stitches. 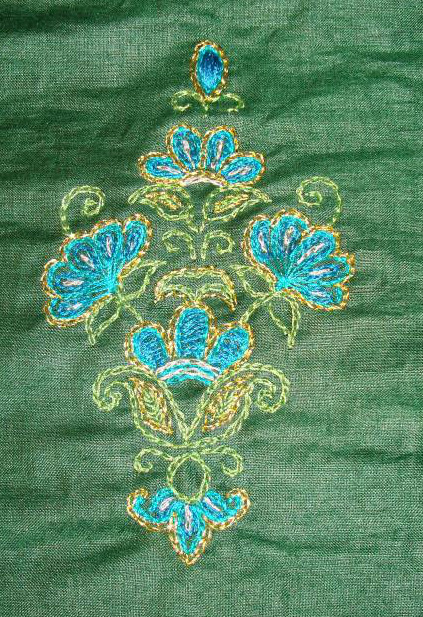 An extra stitch was added to each side of the petal and woven trellis was worked on them. 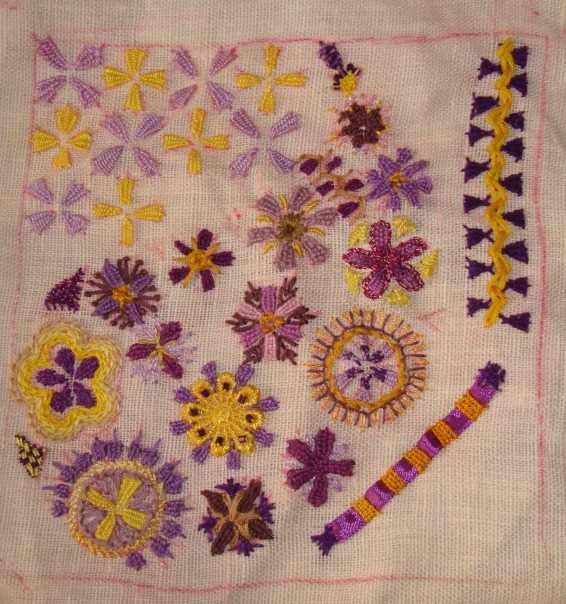 Three rows of chain stitches were worked in various shades of yellow. 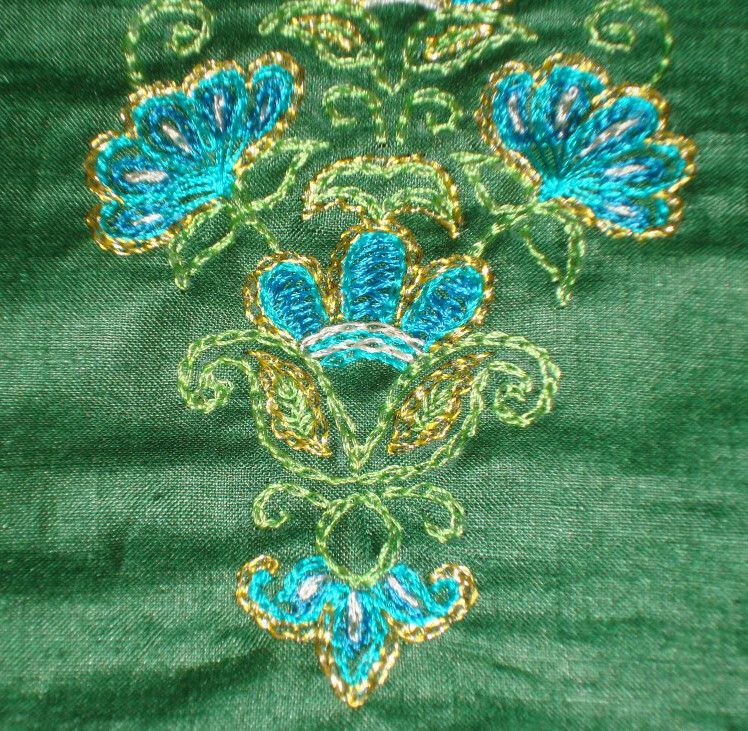 After working the satin stitches in yellow, the woven trellis was outlined with metallic thread. 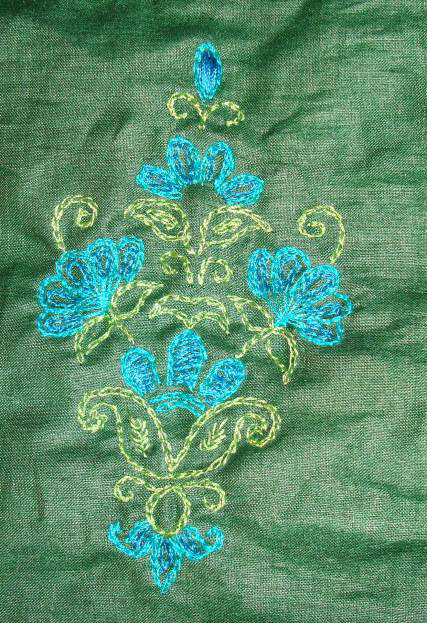 Woven trellis stitches worked between cretan stitch row here. 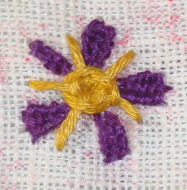 Woven trellis stitches around woven wheel in yellow. 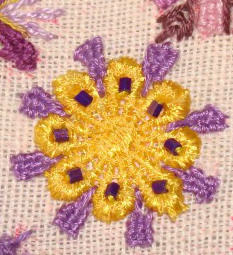 Algerian eye is in the centre, bullion knots are worked along with woven trellis for this flower. 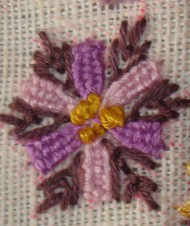 The centre is french knots, woven trellis in two shades of violet with fly stitches. 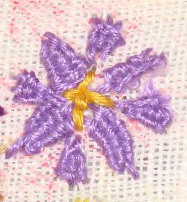 Three woven trellis petals with long tailed chains and straight stitches make this flower. 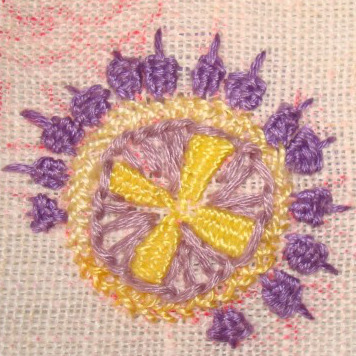 The woven trellis are inverted here with woven cross in the centre and pistil stitches in antique violet. Back to work on this piece now.